PLEASE NOTE: We are not currently offering classes at this point in time. That said, if you have a group of a minimum of (6) people that are willing to commit to a date and time, please email us at fruitsofsherbrooke@gmail.com or call us at 780-244-0129 and we will see if we can make it happen for you. What will I learn? We will teach 2 jam making processes – the traditional method as well as freezer jam. The traditional jam and jelly process is a cooked jam that is put in jars and then sealed in a hot-water bath. These products are good on the shelf for at least 2 years. We will also teach you how to make the quick and easy freezer jam process. This does not require cooking and can be made with low sugar or a sugar substitute. They are stored in the freezer as the preservation method. Finally, we will guide you through the process of creating your own flavours to make your product unique. This is the art of the cooks at Fruits of Sherbrooke – to create one-of-a-kind flavour profiles – and by the end of the process you will feel confident in your own creative skills. In addition to the class, you will each bring home about 6 jars of product that you made that class (or traded with others). Where? 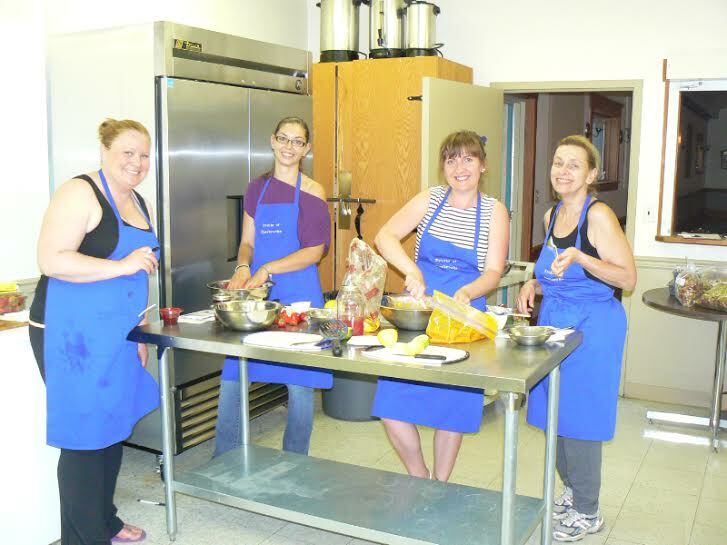 We will offer classes in our kitchen at the Westmount Community League at 10978 – 127 Street. We are also able to travel to a location that you provide and can bring the required supplies and equipment. How much? The fee is $60 a person. This includes the kitchen, equipment, tools, food supplies and 2 Fruits of Sherbrooke staff to teach and guide you through the experience. Is it Fun? Absolutely! We love what we do and want to inspire others to learn this art and gain confidence in making your own fruit jams, jellies and condiments. We work hard to make it a good experience for everyone. You will make your own creations and be able to taste (and be inspired by) what others in the group are also making. What about gathering a group of friends and make jams as wedding favours, a gift for a family gathering or school reunion? We can discuss these plans and sort out a price schedule as each person will have different requirements. We will need a minimum of 6 students to run the class. There is a maximum of 10 people per class if held in our premises.